What's more Italian than homemade pasta? Homemade pasta enjoyed with a bottle of well-chosen Italian wine. 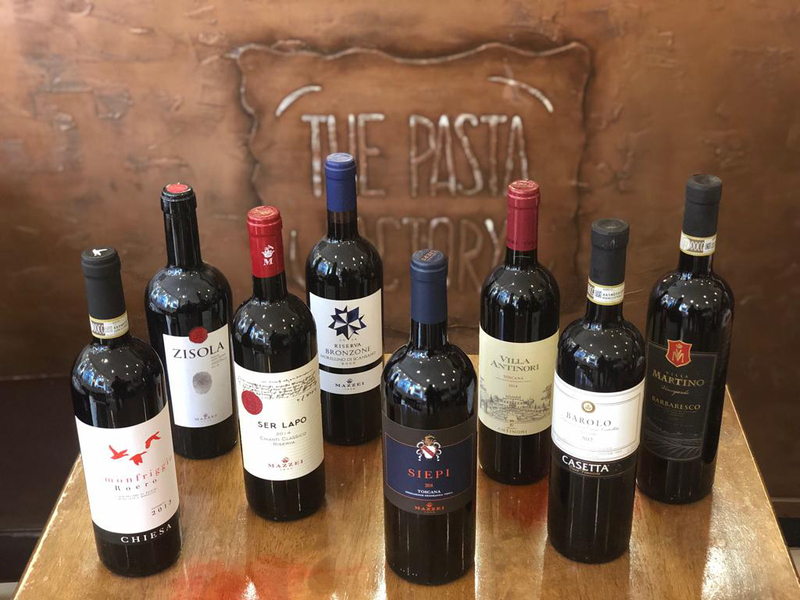 At The Pasta Factory, we take pride in serving some of the best Italian wine around. Distinctive and high quality – yet affordable. From the intense bouquet and dark cherry notes of the Barbera, Primavera. To the floral scents and hints of almond of the prized white Verdicchio Dei Castelli di Jesi, Le Vaglie. All these wines are hand-chosen for their charm. They're our personal favourites – specially selected to complement our fresh pasta dishes. If you need advice on which to go for, just ask.